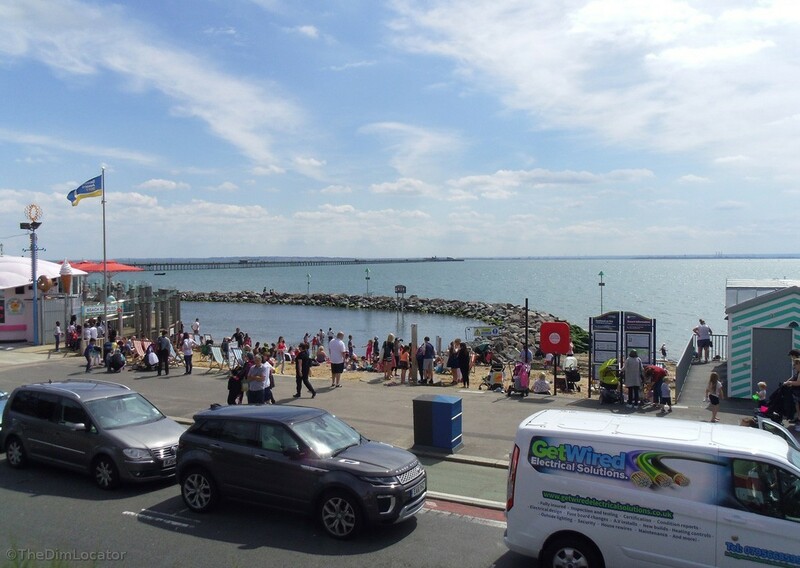 A few decades ago some people thought the British seaside would never be able to compete with the Continent and would only ever decline; I’m sure it was like that all up the Essex coast. In Southend (and elsewhere) some people kept plugging away, spending money as and when. You have the basics, the seaside, people will always visit, you just need to add to that. The two ladies in front on the open top bus (itself a speculative venture this year) are talking away along with lots of the children onboard: commenting on the newish lagoon by The Three Shells Kiosk; reminisce about walking out on the mud at low tide, which people still do. The bus passes under the Pier where the recording ends, but the bus goes onto Marine Parade before going on to turn around at The Kursaal, passing ice cream parlours, arcades, pubs, sea food stalls, water jets, speed boat rides, buckets and spades, burgers, chips, all you’d expect a in a seaside town on a sunny day in the holidays.